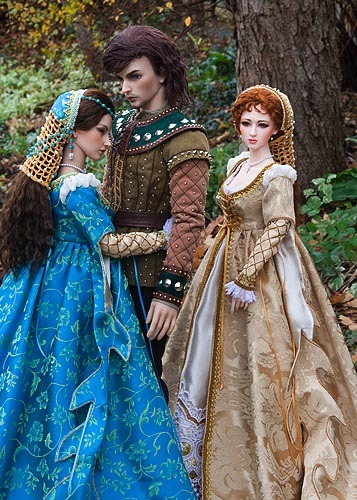 When Tedros' outfit was finished, my ladies couldn't resist him. 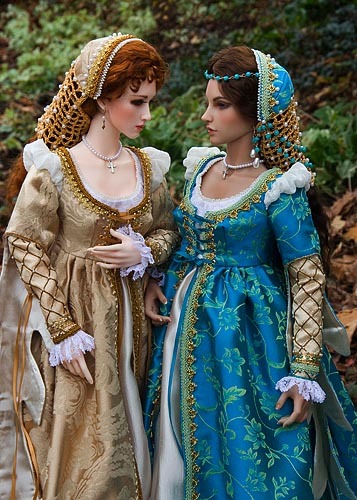 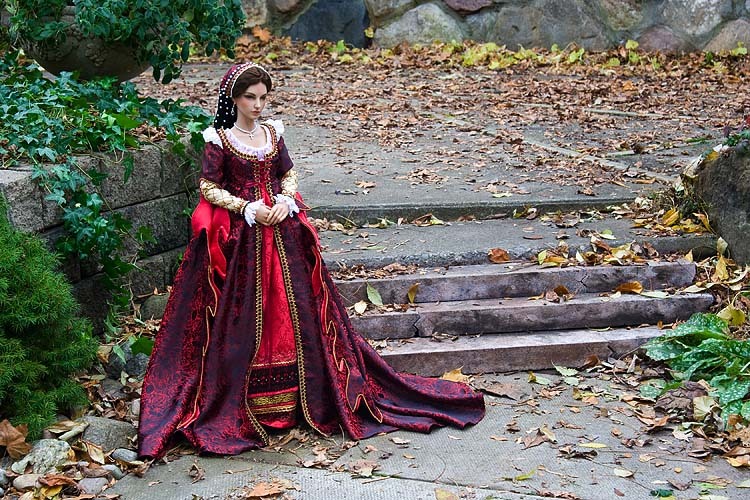 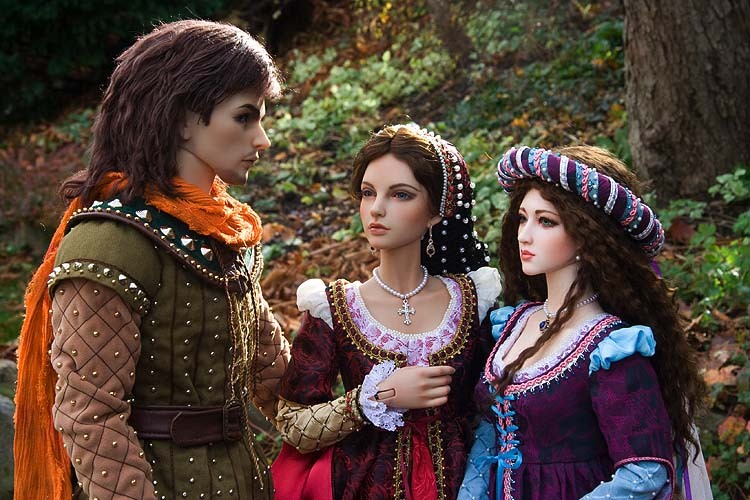 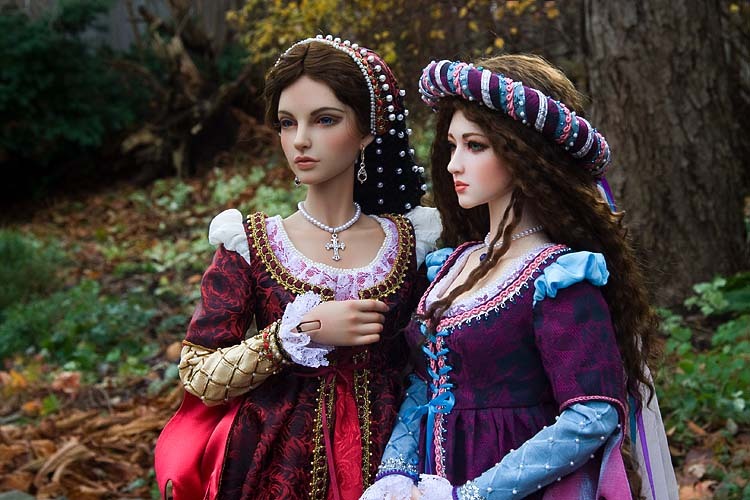 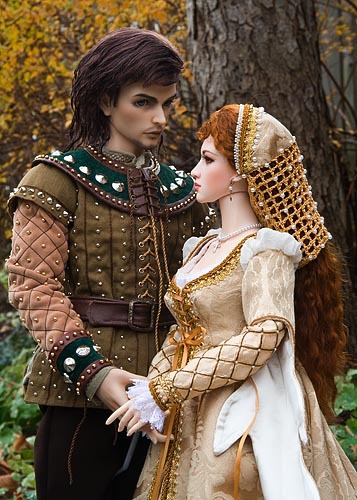 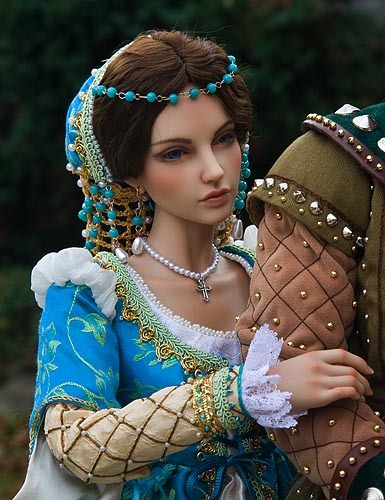 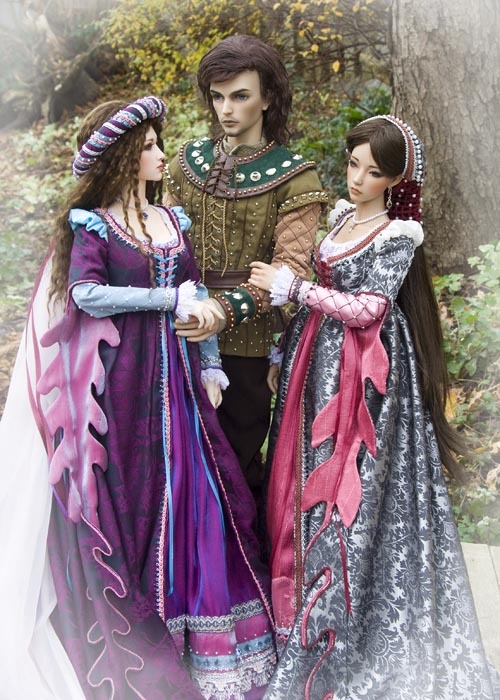 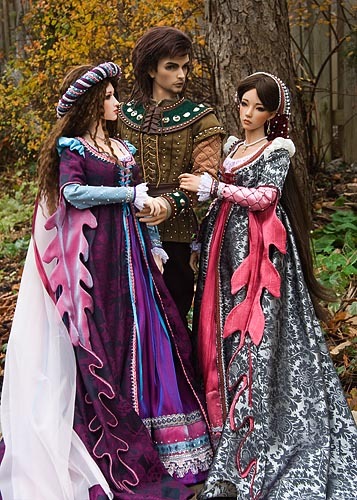 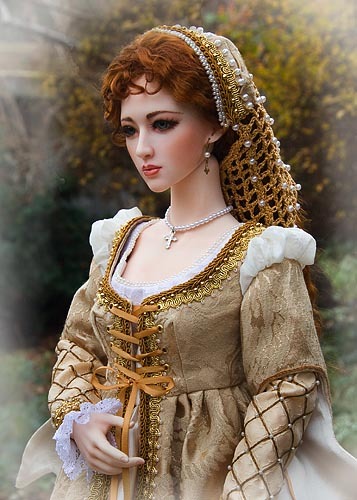 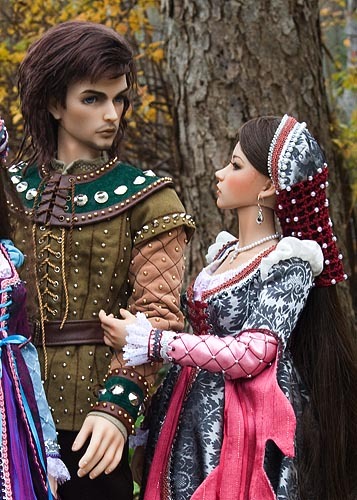 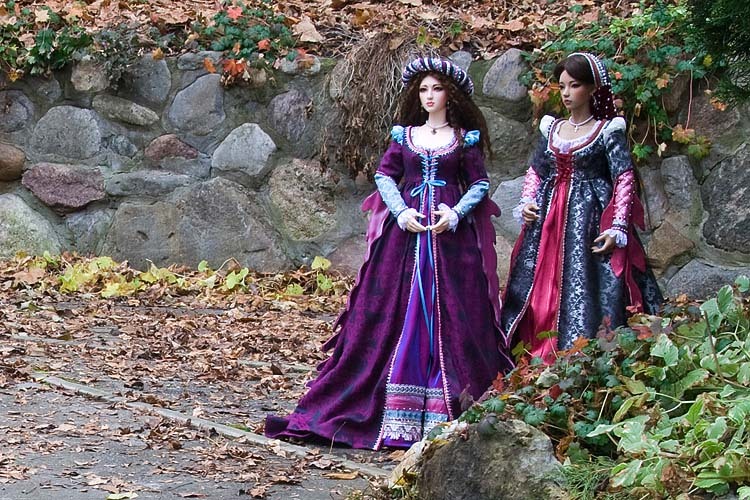 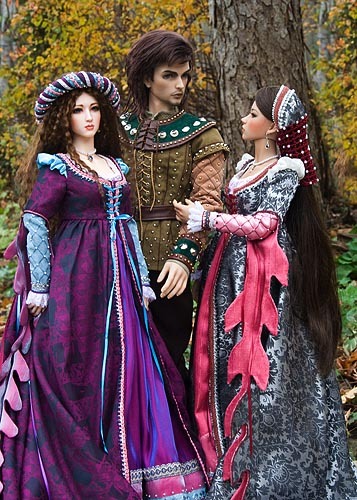 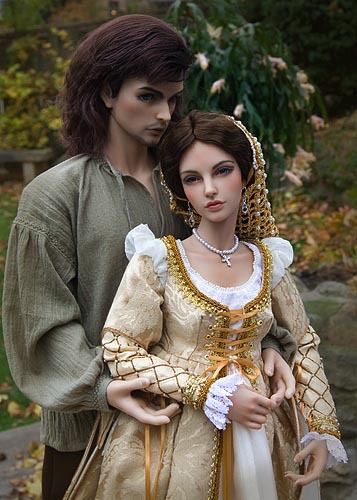 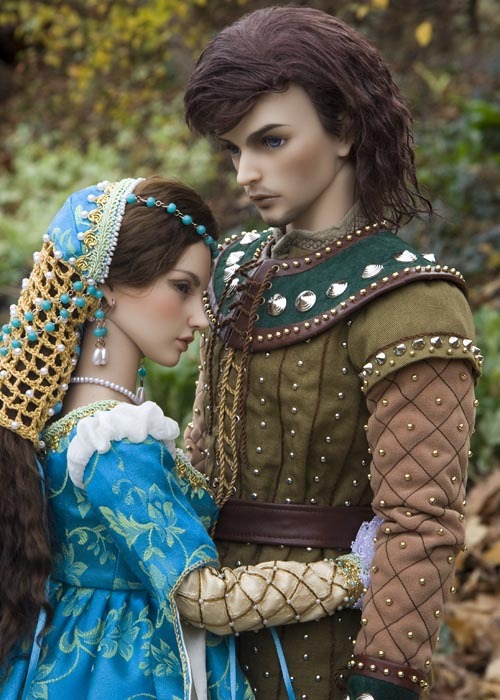 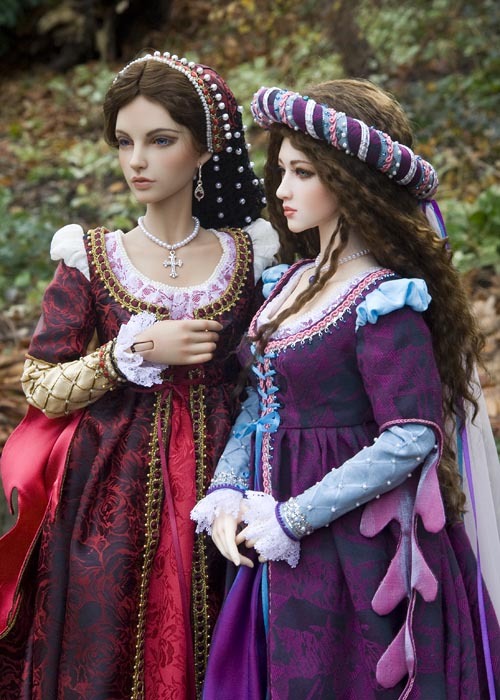 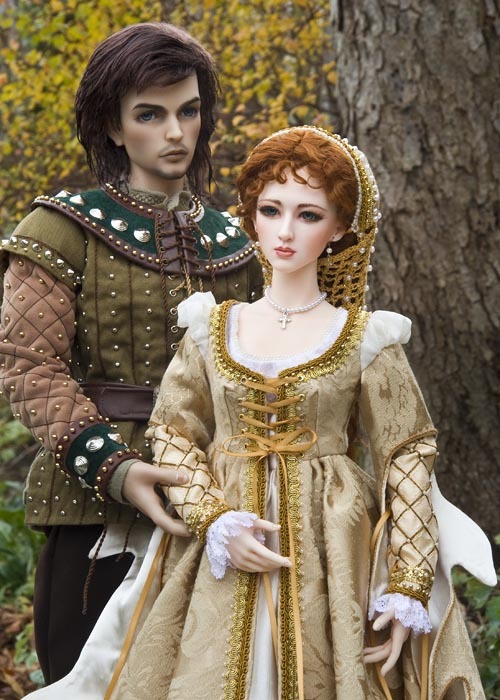 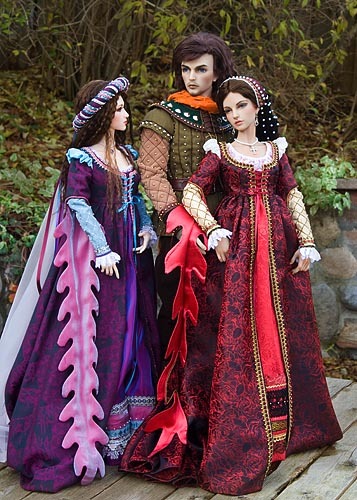 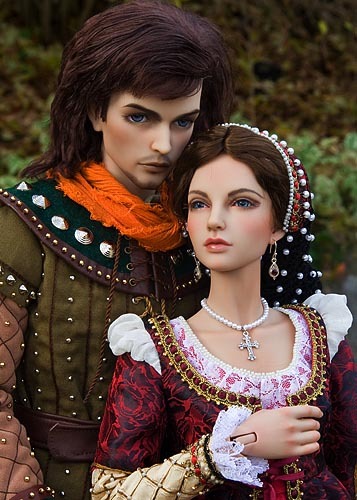 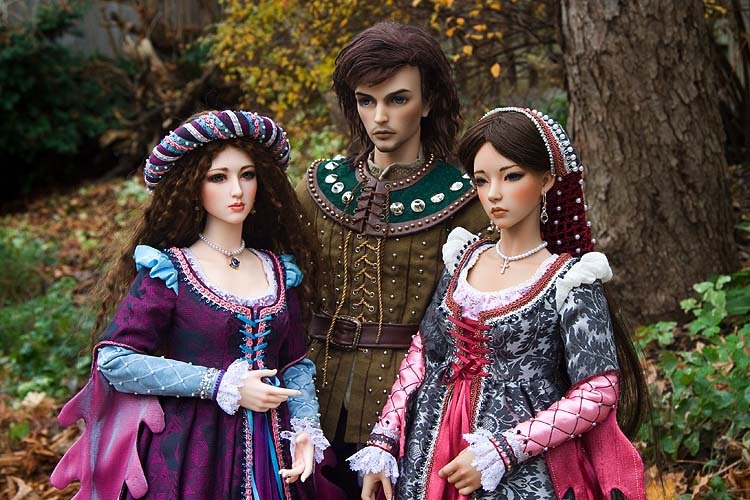 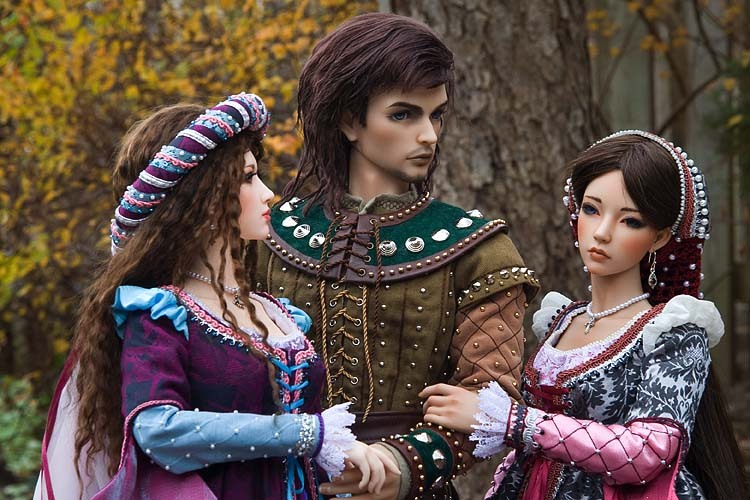 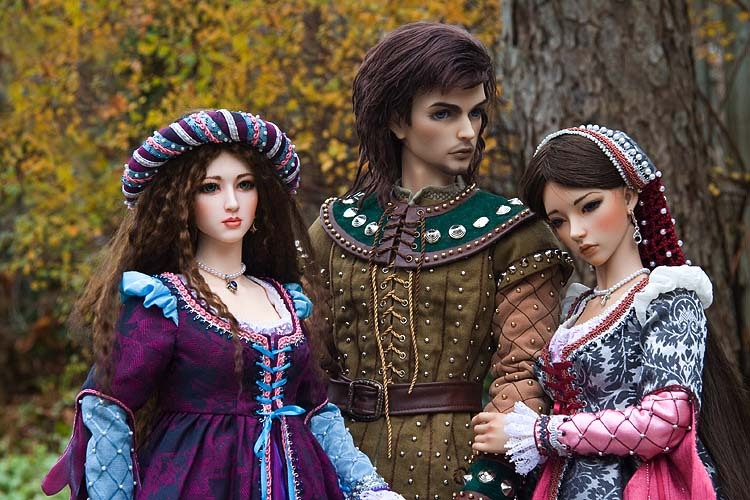 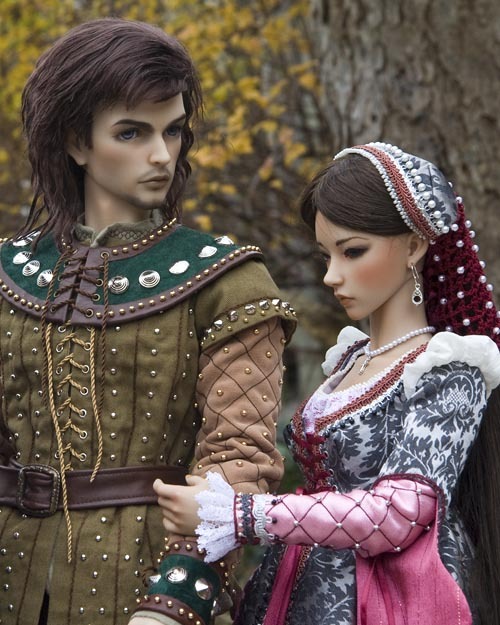 Thanks to a very patient customer, I still had all four of the new Renaissance gowns so my ladies could dress up and vie for Tedros' attention. 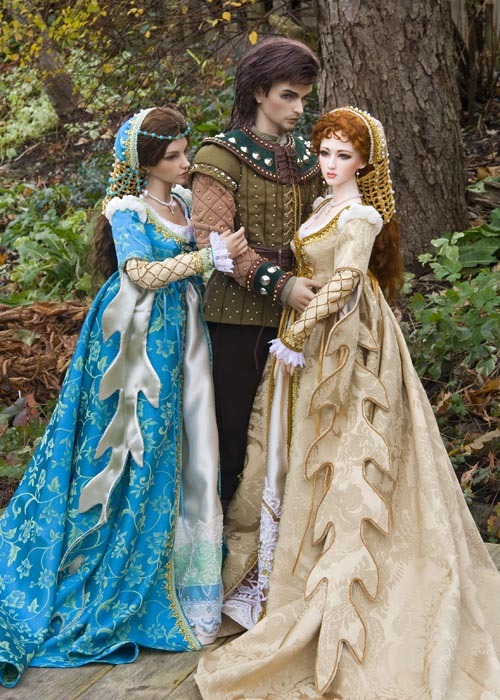 Hazy was beautiful and demure in her gold and purple gowns, while Carina and Asa were both very bold. 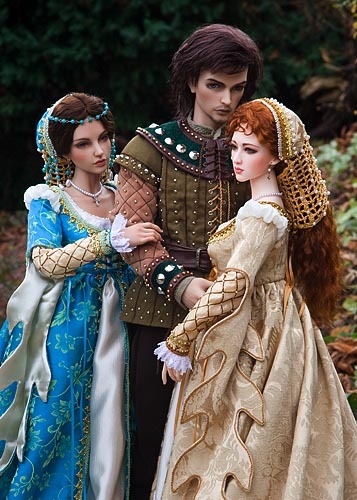 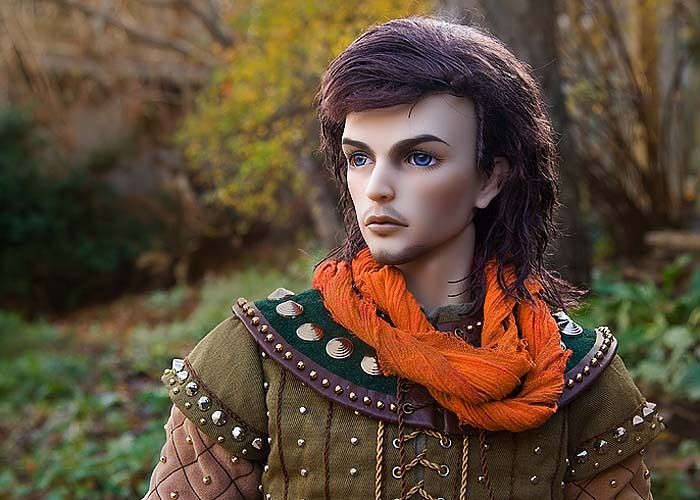 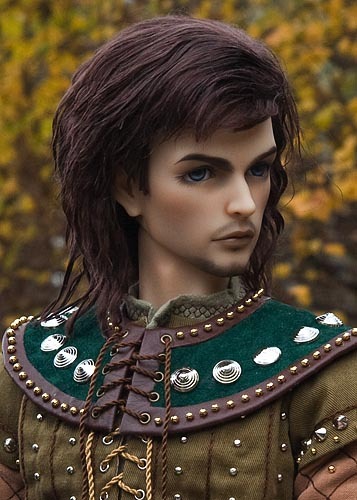 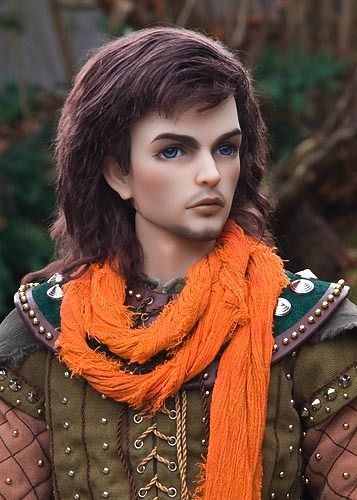 Surrounded by all that beauty, Tedros didn't know who he liked best. 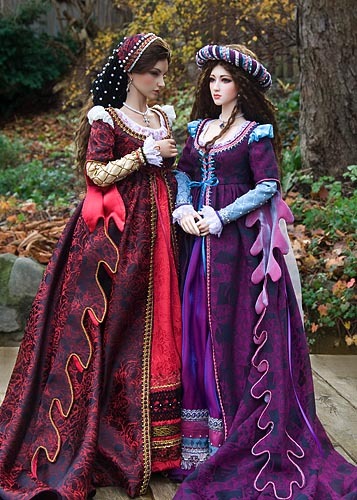 I only have two larger ladies; Hazy, who has a Soom body, and my Iplehouse ladies Carina and Asa who share a body. 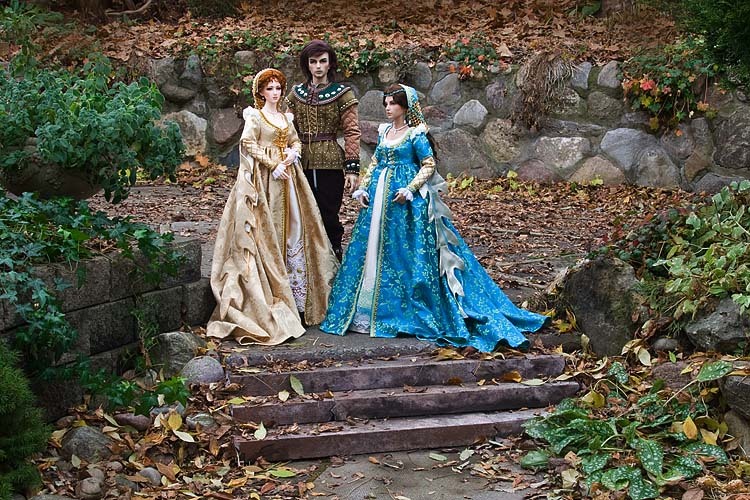 The photos were taken over the course of several hours, with two costume and head changes in between. 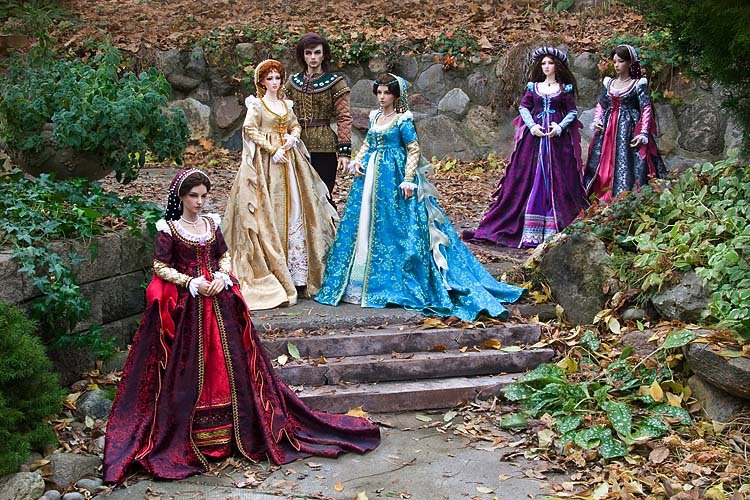 Using a tripod I took photos of each set of dolls, then PhotoShopped them together into one final group shot.